thinking but reflects your choice of what you want to see." Five finalists have been chosen in a federally sponsored contest to create the next generation of hash algorithms for IT.A federally sponsored contest seeks to develop next-generation hash algorithms. One of five new algorithms, chosen from among an original field of 64, will be used for everything from storage access to cryptography—making it a key instrument in the toolbox of modern IT organizations. Hash algorithms improve data storage access times, provide random number generation, ensure the authenticity of digital documents—from digital signatures to authentication codes—as well as streamline cryptographic applications. The contest winner will augment the hash algorithms currently specified in Federal Information Processing Standards Secure Hash Standard, authorizing a third-generation of Secure Hash Algorithms (called SHA-3). The hash functions by transforming the content to be stored (here telephone numbers) into index codes that can quickly retrieve that data (source: Wikipedia). A hash function implements a simple, easy-to-execute algorithm that maps input values (derived from the content to be stored) to an index—called the hash code—that can be used for quick retrieval. Hash tables hold these index values plus the real physical address of the stored data, allowing quick retrieval of documents from the hash table. The bane of hash functions are collisions—data sets that produce the same hash code—which must be gracefully reconciled by the hash algorithm. The current SHA-3 Cryptography Competition concentrates on security applications of hash functions, which take arbitrary blocks of data and derive a fixed-size index (called a digest). Indexing secure messages with a hash digest aims to satisfy four competing goals: ease of computing the digest, minimizing collisions, guaranteeing that changes in the message will result in a different digest, and guaranteeing that the message cannot be "reverse-engineered" from the digest. The National Institute of Standards and Technology (NIST), which recently selected the five finalists, is sponsoring the contest to counter advances in cryptanalysis of hash algorithms that security-busting organizations—from hackers to foreign governments—have recently demonstrated as capable of defeating the current SHA-2 standard. The winner of the contest will help fill this security hole with SHA-3. Cryptographic hash functions transform messages into digest codes that are unique, and which cannot be reverse-engineered to reveal the original (source: Wikipedia). ● "Skein" submitted by Niels Ferguson, Stefan Lucks, Bruce Schneier, Doug Whiting, Mihir Bellare, Tadayoshi Kohno, Jon Callas and Jesse Walker. 2011 will allow a yearlong public review of the algorithms, the winner of which will be announced in 2012. See details on the review process here. From last year but shows how hard we have it hear the the "D". New York, NY--January 2010 -- Juju.com, a leading job search engine, has released the updated Job Search Difficulty Index, which measures the difficulty of finding employment in major cities around the country. The Index was calculated by dividing the number of unemployed workers in each metro area, as reported by the Bureau of Labor Statistics (BLS), by the number of jobs in Juju's comprehensive index of millions of online jobs in the United States, which is compiled and updated continuously from thousands of employer career portals, recruiter websites, and job boards all over the Internet. The Job Search Difficulty Index provides a useful guide to the relative difficulties faced by job seekers in particular geographies, but should be considered in the context of the well known challenges of measuring and analyzing unemployment data. During the economic downturn, many American companies saw months of staff reductions through layoffs and delays in hiring replacement workers for those who have retired or left the company. Many companies held off performing upgrades to their current systems or delayed implementing new systems altogether. The good news is that the IT economic doldrums seems to be changing. Companies are planning to hire new workers or have started to hire again as they need skilled personnel for these new endeavors. Now that companies have made the decision to hire new IT personnel for these upgrades and new systems, just what skill sets will be in demand for 2011? Software as a Service (SaaS) - Providing an application that clients can access through the internet. Web and Platform Services - Providing a platform where developers can create applications that can be accessed by clients through the internet. Instead of using your own server infrastructure, you use these remote servers. Microsoft's Azure platform provides just such an environment. A computer programmer or software engineer is one of the most sought-after and lucrative careers in the IT field. In today's business environment, companies must be able to quickly adapt to new conditions. In this case, rapid programming and agile programming are making a comeback. What are hot areas for programmers in 2011 - Cloud Computing, Flash, HTML5, Silverlight, Touchscreen, and other such technologies. Virtualization is having multiple physical servers moved to a virtual machine environment. Virtualization vendors such as Citrix, VMware, and Microsoft are making it possible for companies to improve the efficiency and availability of IT resources and applications. Virtualization is being adopted by companies of all sizes as a means to reduce costs through consolidation of servers and lower cooling requirements. Application Virtualization has become very popular with businesses. Having the skill set to deploy applications that connect securely through a browser is critical for companies that have numerous offices. This is one area that is going to be very interesting to watch in 2011 - especially due to the dynamics between Cisco, Microsoft, and VMware. There is no doubt that the demand for skills in this arena will grow exponentially. Pick your voice flavor of choice, Lync Server 2010, Polycom, Avaya, or Cisco to name but a few. They all require highly skilled and knowledgeable people. This is even more so when trying to integrate conferencing or Unified Messaging into the network. VoIP is growing rapidly. Businesses are demanding the integration of voice with their messaging and conferencing networks. The problem is there just aren't that many experienced voice people, especially ones who are skilled in two or more platforms. If you happen to be a Cisco voice guru and have also mastered the intricacies of Office Communications Server 2007 R2 Unified Messaging and conferencing, than you are set! Project Managers are always in demand; this is especially for IT Project Managers. IT Project Managers must have an understanding of the business on a larger scale as well as knowledge of the IT world. This skill set will be in great demand as companies will be upgrading their IT environments next year. Companies are constantly compiling, processing and maintaining vast amounts of data. Businesses will require developers who can work with the business side and who also understand user requirements. These individuals can develop the necessary codes and tools that can be delivered through user-friendly portals (think SharePoint). Security will always be a hot demand skill set. All IT pros must have a good understanding of both physical and electronic security. One of the most difficult tasks with IT security is educating users. More information about a company can be gleaned through social engineering that they would rather not have divulged. Training users (and IT staff) to be cognizant of and prevent social engineering is extremely difficult. IT Pros must always be aware of security issues and understand the vulnerabilities within their networks (from operating systems, servers, even the lowly cable closet). This does not mean that every IT Pro must be able to perform a penetration test against their own network, but they must understand and prevent attacks against their network. We live in a highly connected world (perhaps too connected at times) with numerous communication technologies all competing for our attention. These disparate communications technologies were all developed and have grown into commonly accepted use separate from one another. In order to use these technologies, we may have had several accounts: one for conferencing, another for email, a third for instant messaging, and yet another for voicemail and even perhaps other accounts. Each of these systems most likely had separate user names and passwords. In order for users to access them, they would have had to remember them (or write down). Network and telephony administrators had to keep these different systems working, sometimes with limited success and much difficulty. It is a serious mistake to underestimate the power of social networks (whether it be IMs, tweets, or the "old school" email). Social networks have been used to help free people who have been incarcerated overseas, organize popular social and music events and even keep in touch with family and friends. Social networks have tremendous power and influence - far more than most people realize (and probably want to accept either). The "traditional" workplace is quickly changing; more people are working from home or from other locations and want and even need this contact. This does not mean the real-time interaction of the bricks-and-mortar work place environment have been lost, just changed. If you are curious, tweet a friend and ask. People keep in contact through Facebook or other social sites, blurring the line between work and social boundaries. The use of Microsoft Office Communicator will allow users to have both business and personal contacts in one IM interface. Business and IT leaders will have to learn to use these to accelerate the business-decision process and maintain relevance with workers. Customers will expect immediate answers to questions, and employees can accomplish more through these communications. 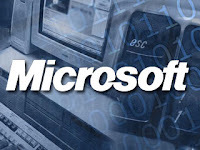 Trained and competent people at the helpdesk will be critical in 2011 as companies continue to migrate to Windows 7. One of the most critical skills that IT pros need is how to interact with non-technical people. The Help Desk is the first interaction most users have with the IT department, and it should be a positive experience. IT Pros are very good at their jobs, but sometimes lack the ability to relate to their non-tech colleagues. Users just want their computers fixed or their data recovered,l and are not concerned with the processes behind our actions. Don’t push others around if you have no blisters on your own feet. Good officers lead by example and make sure the troops are cared for before attending to their own needs. When you treat others respectfully and never ask another to do something you would be unwilling to do yourself, you are entitled to the respect of others -- and they will freely give it. But you cannot expect others to continue marching until they have blisters on their feet while you ride in the jeep. Leading others means you must be willing to give far more of yourself than you would ever ask from them. Permanent link to this post: Don’t push others around if you have no blisters on your own feet. For a decade or more, flexible electronics has been just over the horizon, beaconing from a future where all mobile computerized equipment could be rolled up like a bedroll for transportation. Despite these unfulfilled expectations, here are three ways that smarter displays are realizing the unfulfilled dreams of flexible electronics.Flash Gordon popularized the idea of flying cars more than 50 years ago, but still they are not here. Likewise, the era of mobile computers that you can roll up like a scroll could still be a dream 50 years hence. According to Lux Research, which held a webinar on the subject Jan. 18 called “Sorting Hype From Reality in Printed, Organic, and Flexible Display Technologies,” there are three values that flexible electronics technologies are adding to modern displays. 1. Frontplane: The active display layers that provide pixel-level coloring have already been revolutionized by flexible display layers such as the electrophoretic technology used in Amazon's Kindle. Electrophoretic displays are built with flexible polymers instead of stiff silicon crystals, even though the rest of the display is stiff by virtue of the glass covering that protects it from spilled coffee. For the future, active-layer frontplanes will be available using a wide variety of flexible electronic technologies, from organic light-emitting diodes (OLEDs) with super-wide-gamut color resolution to electro-wetting display technologies that have the ultra-low-power features to extend battery life in mobile devices, but can display fast-moving color video that a Kindle can't touch. 2. Backplanes: Thin-film transistors (TFTs) supply the signal to turn pixels on and off, necessitating a one-to-one relationship between pixels and TFTs (for instance, a five-megapixel display has five million TFTs). Today, silicon photo-masks are used to fabricate TFTs by laying down tiny patterns of photoresist on silicon sheets, which can then be etched into the shape of the desired thin-film transistors. However, techniques enabling printers to lay down the TFTs directly will soon lower the cost and manufacturing complexity of electronic displays. 3. Transparent Electrodes: The reason that displays appear to be transparent, despite the fact that every pixel is connected to a TFT that is printed on its backplane, is that the "wires" used to supply signals to the TFTs are transparent. Today, transparency is achieved by using indium tin oxide (ITO), which is becoming increasingly rare, thus driving up the manufacturing costs of displays. However, new formulations of flexible nanowires that can be printed at room temperature using silicon, silver, and pure carbon—graphene—promise to lower the cost of displays further by eliminating the need for costly ITO. Happy anniversary Basit and Amjad! Twenty-five years ago this month, the Alvi brothers of Lahore, Pakistan, gave the world the Brain Virus, the first bit of malware capable of infecting a DOS-based PC. Back in those relatively innocent times, the brothers actually embedded their real names and business address in the code and later told Time magazine they had written the virus to protect their medical software from piracy. Who knows what they were really thinking, but by all accounts the Brain Virus was relatively harmless. Twenty-five years later, most malware is anything but benign and cyber criminals pull off exploits the Alvi brothers never envisioned. No longer just a way to make a political point or demonstrate one's technical prowess, malware has become a useful tool in the bag of tricks bad guys use to steal from consumers and institutions alike. And just as big-time drug dealers and many criminal gangs now mimic the ways of legitimate business, hackers have begun to do the same. One particularly disturbing trend coming to light in this anniversary month is the production and online sale of "kits" that allow relatively unskilled hackers to create and launch malware attacks. And by "kit" I really do mean a kit. "Attack toolkits are bundles of malicious code tools used to facilitate the launch of concerted and widespread attacks on networked computers. Also known as crimeware, these kits are usually composed of prewritten malicious code for exploiting vulnerabilities along with various tools to customize, deploy, and automate widespread attacks," according to a recent report by Symantec. Marc Fossi, a development manager for the giant security company, says attack kits are selling on the Web from $40 or $50 to about $4000. Some hackers peddling the higher-end kits even offer online support and subscription services, so customers can get updated versions of the malware. Symantec has also observed advertisements offering to help install and set up purchased attack kits for a fee. "It's like a mirror of the legitimate software business," he says. 1. Attack kits make it easier for relatively unsophisticated hackers to launch an attack. That's not to say that any computer-illiterate bozo could successfully use one of these kits, but it's much easier than building a virus or other malware from the ground up, says Fossi. 2. The prevalence, simplicity and effectiveness of the attack kits are contributing to an upward spike in cybercrime. For example, one major kit called ZeuS accounted for more than 90,000 unique malicious code variants as of August 2009. That's 90,000 different malware applications; the number of computers attacked by ZeuS is in the millions. Not coincidentally, ZeuS is designed primarily to steal financial details, such as the online banking credentials of a victim. Its ease of use and ability to generate income makes it an appealing purchase for even novice cybercriminals. 3. Cyber criminals, like legitimate business people, believe in a return on investment. Since they're spending money to buy those attack kits, it's likely they'll want to use them. 4. Because buyers of the kits can get updates, they're using the newest and most potent versions of the malware, and that, of course, means users will be hit even harder. 5. Increasingly, attack toolkits include exploits for vulnerabilities that encompass multiple applications and technologies. This increases the likelihood that an attack will succeed because there is a greater chance that the victim will be using one of the vulnerable applications and that one of the applications is unpatched. 6. The attack kits spew out malware that can attack multiple platforms; so users of Macs or computers running the Linux operating system, which are usually considered safer than Windows, are at risk as well. Naturally, you want to defend yourself against these clowns. Some of the viruses and other kinds of malware are so that new your anti-virus and other types of protection might not recognize them, but many are known. So be sure you're running reputable defense programs and keep them updated. And since many of the kits rely on "poisoned" Web sites, make certain that if your malware detector questions the authenticity of a site you pay attention and get out of there without clicking on anything. It's tempting to make jokes about those two wild and crazy guys from Pakistan, and to be sure, the story of the Brain Virus has its place in computer lore. But ultimately, this stuff isn't funny, and it's not really a happy anniversary. HUNTSVILLE, Alabama, January 18, 2011 (ENS) - For the first time, antimatter has been observed occurring naturally on Earth, as scientists using NASA's Fermi Gamma-ray Space Telescope have documented beams of antimatter produced above thunderstorms. The scientists think the antimatter particles are formed inside thunderstorms in terrestrial gamma-ray flashes associated with lightning. They estimate that about 500 gamma-ray flashes occur daily worldwide, but most go undetected. "These signals are the first direct evidence that thunderstorms make antimatter particle beams," said Michael Briggs, a member of Fermi's Gamma-ray Burst Monitor team at the University of Alabama in Huntsville. He presented the team's findings last week at the American Astronomical Society meeting in Seattle. Antimatter is one of the mainstays of science fiction but it is "rare in the present-day universe," NASA says, explaining that antimatter is called the "mirror image" of ordinary matter, because for every type of ordinary matter particle, an antimatter particle can be created that is identical except for an opposite electric charge. Moving near the speed of light, these particles travel into space along Earth's magnetic field. The NASA scientists now think that most terrestrial gamma-ray flashes also produce particle beams and antimatter. Launched June 11, 2008, NASA's Fermi Gamma-ray space telescope is designed to monitor gamma rays, the highest energy form of light, from its orbit 350 miles above the Earth. Although Fermi's Gamma-ray Burst Monitor is designed to observe high-energy events in the universe, it also provides insights into the antimatter phenomenon. "In orbit for less than three years, the Fermi mission has proven to be an amazing tool to probe the universe," said Ilana Harrus, Fermi program scientist at NASA Headquarters in Washington. "Now we learn that it can discover mysteries much, much closer to home." During a terrestrial gamma-ray flash on December 14, 2009, the Fermi telescope was located over Egypt. But the active storm was in Zambia, some 2,800 miles to the south. The distant storm was below Fermi's horizon, so any gamma rays it produced could not have been detected. "Even though Fermi couldn't see the storm, the spacecraft nevertheless was magnetically connected to it," said Joseph Dwyer at the Florida Institute of Technology in Melbourne. "The TGF produced high-speed electrons and positrons, which then rode up Earth's magnetic field to strike the spacecraft." Each time, positrons in the beam collided with electrons in the spacecraft. The particles annihilated each other, emitting gamma rays detected by Fermi's Gamma-ray Burst Monitor. Normally, these gamma rays are detected as a terrestrial gamma-ray flash. But the cascading electrons produce so many gamma rays that they blast electrons and positrons clear of the atmosphere. This happens when the gamma-ray energy transforms into a pair of particles: an electron and a positron. It is these particles that reach Fermi's orbit 350 miles above the Earth. The detection of positrons shows many high-energy particles are being ejected from the atmosphere. In fact, scientists now think that all TGFs emit electron/positron beams. A paper on these findings has been accepted for publication in the journal "Geophysical Research Letters." "The Fermi results put us a step closer to understanding how TGFs work," said Steven Cummer, an atmospheric electricity scientist and associate professor at Duke University. "We still have to figure out what is special about these storms and the precise role lightning plays in the process." 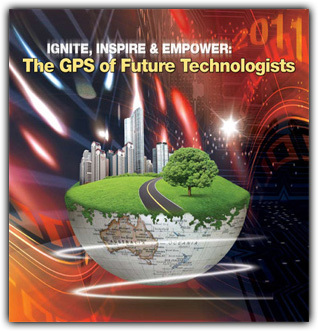 2011 NATIONAL BDPA TECHNOLOGY CONFERENCE "CALL FOR PRESENTERS"
our conference workshop attendees and equip them with the necessary tools, resources, and/or information needed to prepare them for becoming the best technologists they can be. Gibran McDuffie is the coordinator of the Student Information Technology Education & Scholarship (SITES) program conducted each year by BDPA Chicago chapter. One of the components of the SITES program is the annual High School Computer Competition (HSCC). There have been 25 HSCC championships held in the United States since the first one took place back in 1986. 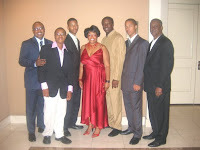 In recent years the HSCC championships have been dominated by the BDPA chapter in Rochester, MN. However, there is one team that has beaten BDPA Southern Minnesota over the past six years. BDPA Chicago's HSCC team won the national championship in 2006. BDPA New York is officially inviting high school and college students to participate in our 2011 Information Technology (IT Showcase) program. The Information Technology (IT) Showcase allows student presenters to showcase their talents by presenting technology based research projects. The presentations represent advanced STEM based topics delivered by highly motivated high school and undergraduate college students. Each student researches a technology based topic and drafts a college level research paper. The students also prepare a poster or information board presenting the results of their research. The papers are submitted for presentation to corporate, educational and industry leaders. Student papers are sometimes published and the students may be invited to present at professional Technology workshops such as the TeraGrid and the National BDPA Annual Technology Conference. BDPA Education and Technology Foundation (BETF) works each year to obtain any software needed by BDPA for its programs and services. One of our partners in this effort is Microsoft. We work through the folks at Tech Soup to request software donations from Microsoft. We were pleased to learn that Microsoft approved $17,910 in software donations. Tyrone Taborn, the publisher of Career Communications Group, served on the BDPA Board of Directors for a number of years. Tyrone uses the media to document the progress of African Americans in science, engineering and technology. His company created the following video that shares our legacy in these fields. Cortlan James Wickliff, at nineteen (19) years old, was the youngest African-American male to attain a bioengineering degree from Rice University in Houston, Texas. Cortlan is now attending Harvard Law School to complete a JD in Intellectual Property and Patent Law. He also plans to complete a PhD in Biomedical Engineering. From an early age he has displayed a profound and unusual sense of the world in which he lives and the role that he has been called to play as a student, leader and community activist, regularly seeking to give back and encourage his peers to likewise pursue stretch goals. A few weeks after his 15th birthday, Cortlan left home to began his college experience at the University of North Texas. 2010 has been a year of significant change for the IT industry – but what does 2011 hold for the IT professional? This report provides insight into the IT market, including job prospects and IT strategies for the year ahead. 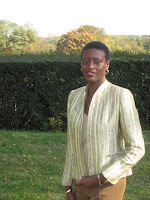 Discover what skills you might need for 2011, how to grow and become more efficient. Remember, you can place under obligation to you anyone you can induce to accept favors from you. It is a very basic human characteristic that we tend to respond to others in the same way they treat us. They will always remember the kindness you extended, and someday when you need it most, help will appear from a totally unexpected source. The kindness and courtesies you extend to others need not be large and expensive. A kind word, a friendly greeting, or assistance with a favorite project lets others know that you care enough about them to lend a helping hand. When you help another cheerfully and enthusiastically without asking for anything in return, the law of compensation places that person in your debt. You have made a friend who is now interested in your success. Permanent link to this post: Remember, you can place under obligation to you anyone you can induce to accept favors from you. Today we have some advice from Kathryn Ullrich, a Silicon Valley-based executive search consultant and author. 1. Look out for #1. Take responsibility for your own career development. Many large organizations have scaled back on training and development-a common outcome of the economic downturn-and small companies can rarely provide significant support. Simply put, your career rests in one set of hands: yours. 2. Be strategic. Have a long-term career strategy or, at the very least, a sense for where you’re headed. Ask yourself, “What do I really want to do?” or “Where do I see myself in five to ten years?” Seek people in similar roles and ask for their advice. 3. Work in step with your company’s goals. Connect the dots from your role to your company’s vision and key objectives. How does your work align with the organization’s goals? What can you do to maximize your contributions? 4. Be customer-centric. Whether your customers are internal or external, know their wants and needs, and be fervent about meeting them. Bring the voice of the customer into your day-to-day work and let it enhance your decisions and deliverables. 5. Collaborate. Working with and through others is requisite to innovating, creating, and producing business results. Adopt a mindset for teaming and collaborating, and put it into daily practice. 6. Hone your communication skills. Communication skills can make or break careers. Pick one area that needs your attention-considering skills such as listening, presenting, influencing, persuading, or distilling messages-and commit to improvement. Take a class, practice with a trusted friend or colleague, or join a group such as Toastmasters. 7. Cross over functionally. Many successful executives have risen through the ranks by taking cross-functional roles, such as moving from finance to sales or from marketing to IT. Follow their lead and you can grow your skills, your network, and your political capital. 8. Expand your experience. Volunteer for special projects or assignments that are outside your everyday role. Discuss your goals with your boss, an HR representative, or a senior leader, and ask for help in finding opportunities to broaden your experience base. 9. Find a guide. Mentors can serve as influential role models and provide important guidance for your career. Reach out to a potential mentor within your company or industry and see if he or she would be open to mentoring you for a specific purpose and timeframe. 10. Network-now. The best time to increase your network is today. Starting now, get involved in groups such as professional associations, charitable organizations, or even sports leagues. Step into leadership roles and make your expertise known. 11. Specialize. Today, companies look for specialists, not generalists. Develop a personal brand, distinguish your skills and strengths, and determine how to best market yourself. Google today announced it will co-host a worldwide online Google Science Fair  for budding scientists ages 13-18. Having been something of a Science Fair prodigy myself back in the day, typically leashing a large beetle or a salamander with a piece of thread or string and walking it around to grab judges' attention, this sounds like a swell idea. IBM is perfecting a solid-state memory technology that, like flash memory chips, is intended to replace hard disk drives with devices that have no moving parts. And even better than flash, IBM's racetrack memory does not wear out no matter how many times you read, write or erase it. IBM is perfecting a solid-state memory technology that, like flash memory chips, is intended to replace hard disk drives with devices that have no moving parts. And even better than flash, IBM's racetrack memory does not wear out no matter how many times you read, write or erase it.Magnetic memory technologies—notably hard disk drives—can be read, written and erased any number of times, since the only changes made are in the orientation of the magnetic material on its surface, which does not fatigue. Unfortunately, solid-state memories like flash will never completely replace hard disks because they fatigue and wear out after about 10,000 read/write cycles. Now, however, IBM has developed a magnetic memory technology that combines the no-moving-parts convenience of a solid-state solution with the speed, reliability and longevity of a hard disk drive. Racetrack memories have been the object of intense research efforts by IBM since 2004, when the major processes were patented by the company. Since then, IBM's research team has demonstrated all the component parts needed to read, write and erase magnetic bits serially encoded around a nanowire racetrack, similar in concept to the tiny magnet tracks around a hard disk platter. However, instead of rotating the disk to bring each bit in a track under the read head of the drive, an electrical current is used to push the bits around the nanowire track so that they can be read by a stationary head. Magnetic information is encoded along the entire length of a nanowire track—each of which can fit in the space that a single flash memory bit occupies today, resulting in memories that are 100 times denser than hard disks and 10 times denser than flash memory. And unlike flash memories, which must use high-voltage currents to force electrons to tunnel through an insulator that fatigues and fails after just a few thousand read/write cycles, there are no atoms being shifted around to cause racetrack memories to fail, resulting in a solid-state memory technology that is denser than hard disks but with more longevity than flash. "We move the magnetic information without moving any atoms," said IBM Fellow Stuart Parkin. "An electrical current essentially delivers angular momentum that moves the magnetic domain walls around the track." By loading each racetrack with a serial string of magnetic bits, and shifting them around the nanowire, the solid-state memory essentially houses thousands of independent magnetic tracks, each of which can be independently shifted to read/write/or erase any bit on its length—like a hard drive, but without the moving parts. Recently, IBM cleared the last hurdle to commercialization of racetrack memories by demonstrating that it can deliver current pulses that can accurately and repeatably move any bit around a racetrack nanowire and position it under the read or write head. Next, IBM will integrate all the components onto a single CMOS chip. Everybody loves a winner, it has been said, but nobody knows you when you're down and out. One of the often unappreciated benefits of adversity is that it accelerates the process of identifying your true friends. Most of us have many acquaintances and associates, but we are indeed fortunate if we have a handful of real friends. You will very quickly identify yours when you ask them for help. The wise individual is the one who, when asked for assistance, recognizes that he may one day find himself in the same situation. Permanent link to this post: You never know who your real friends are until adversity overtakes you and you need cooperation. Adversity provides the resistance necessary to develop the strength to overcome great obstacles. This strength consists of self-confidence, perseverance, and, very importantly, self-knowledge. For if you do encounter a setback, it is a clue to a personal weakness. You may have been hasty in judging a competitor, or you may have been too timid in your vision of what needed to be done. Let adversity be your guide to understanding where you mis-stepped and which qualities you need to cultivate. No one rejoices in disappointment, but if you are success-conscious, you can turn the situation into a chance for improving your character, an opportunity you otherwise would have missed. Read on the website: Before opportunity crowns you with great success, it usually tests your mettle through adversity. If you've read any number of 2011 security prediction lists, you've no doubt noticed that mobile malware ranked near the top of each. Not that mobile security predictions took much of a crystal ball or stretch of the imagination to make, but the world didn't even have to wait for the clock to strike midnight on Jan. 1 to see them start to come to fruition. On Dec. 29, mobile security specialists Lookout Mobile Security identified a new Android Trojan named Geinimi, built to lift and transmit personal data from a user's phone and ship it to a remote server. "The most sophisticated Android malware we've seen to date, Geinimi is also the first Android malware in the wild that displays botnet-like capabilities. Once the malware is installed on a user's phone, it has the potential to receive commands from a remote server that allows the owner of that server to control the phone," the company wrote in its blog. Looks like mobile malware is starting to grow up. As more of these devices edge their way into the hands of executives and corporate networks, the danger to data is clear. Not only is any proprietary data held on these phones at risk, but so is authentication data such as passwords, usernames and other credentials. There's no easy solution for organizations, analysts say. "If you think you are going to be able to successfully ban these devices, you are fooling yourself," says Pete Lindstrom, research director at Spire Security. "The only clear short term answer is to increase awareness among employees. You have to reach out to them and make sure they know that data on these devices can be placed at risk," he says. Geinimi isn't the first Android Trojan to be found in the wild. Last summer Trojan-SMS AndroidOS FakePlayer, identified by Kaspersky Labs, would send text messages to premium services, potentially piling charges on users. That malware was limited to telecommunications networks in Russia. Also last week, the BBC reported that researchers revealed how easy it is, using a toolkit they developed, to eavesdrop on any mobile call or text message made on a GSM network. Karsten Nohl and Silvain Munaut demonstrated the toolkit at the 27th annual Chaos Computer Club Congress (CCC) in Berlin. Where the attackers head, investors see opportunity. Lookout Mobile Security announced on Dec. 23r that it raised an additional $19.5 million in third-round funding led by Index Ventures. The round also included Accel Partners and Khosla Ventures.